Imagine if you only needed one bike from those first wobbles at eight months to riding confident at eight years old. The Leg & Go bike is eight different bikes in one. The Leg&Go bike is eight bikes in one. 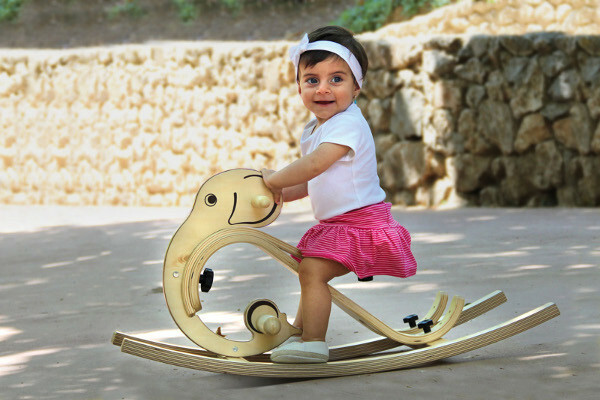 It transforms from a rocking elephant to a baby bike, from a balance bike to a tricycle, and many more changes to keep up with the kids as they grow and learn. You can also adjust sizes and height to suit your child’s needs. I’ve never seen a bicycle so accommodating to growing bodies. With a frame made from FSC certified Birch plywood, the Leg&Go has a stylish Scandinavian aesthetic. The thick wooden frame offers natural suspension, strength, and flexibility. 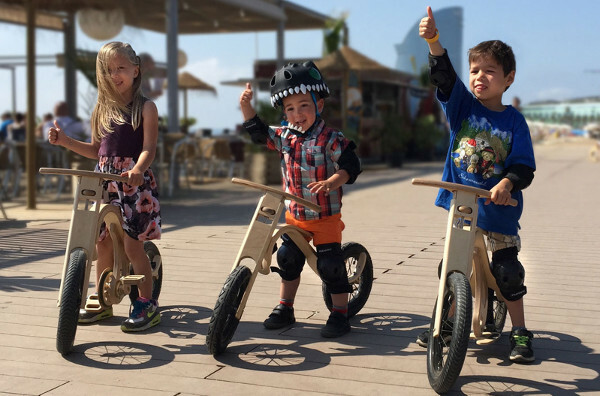 Kids will look so cool on this swish wooden bike, even if they are still mastering their skills in their adorably wonky way. It’s hard to describe how easily the Leg&Go transforms and what a comfortable ride it gives, so have a watch of the video below to see this bike in action. Leg&Go are running a Kickstarter to help with their first release, due this Christmas. They have already exceeded their $60,000 goal but there is still time to pledge and gain some great rewards. We look forward to seeing this cool new ride cruising into Australian stores.